Let’s end the day with something more edifying than the Trump White House. 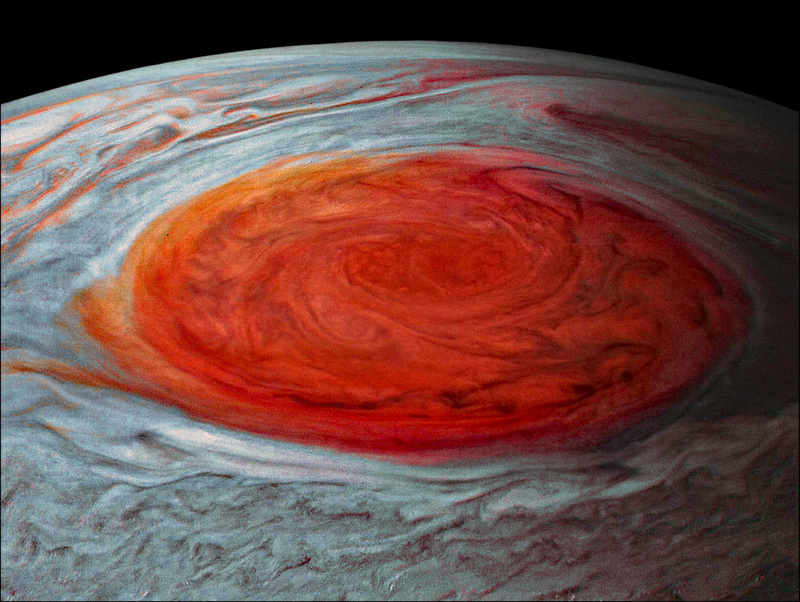 Here is Jupiter’s Great Red Spot, as captured by NASA’s Juno spacecraft. Image processing was done by Roman Tkachenko, with some additional putzing around by me. Click here if you want to play around yourself. UPDATE: Sorry, it’s Cassini that’s about to dive into Saturn and disappear forever. Juno will be around for a long time to come. I’ve corrected the text to remove the fake news that Juno was near the end of its mission and was about to dive into Jupiter.